It’s just March and the weather is already heating up. Come April and we’d be sweating all over the place. With summer comes the dry and dusty weather that leads to the dull, irritated and dehydrated skin. And as much as we’d like to hope and wish, drinking water alone just doesn’t cut to help with this issue. No one likes to show-off dry and rough skin. Most common reasons for such skin is harsh sunlight, polluted air and excessive use of air conditioning. Our skin cells contain certain chemicals that are responsible natural motorization of our skin. The production of these chemicals defines the natural balance of our skin. Loss of water content in our body leads to dehydration. It gives rise to dry skin, itchiness, and redness. But simply drinking more water doesn’t always help with this issue. Here’s what you can do or not do to make sure your body is hydrated at all times. It goes without saying that increasing the fluid intake helps getting rid of dehydration. Drinking 7-8 glasses of water is generally recommended. Apart from that, make sure you include other natural drinks like fresh fruit juice, coconut water, lassi and lemonade in your daily fluid intake to ensure that your body is hydrated. Vitamin C is a natural way to cure skin damage of all kinds. So including more Vitamin C rich foods is a good way to nourish your skin naturally. Some great sources of Vitamin C are oranges, kiwi, lemon, papaya, capsicum, guava, melons, amla, guava, tomatoes etc. Foods that have high sodium content are naturally dehydrating in nature. So it’s wise to stay put from such foods. Avoid eating processed food, frozen and canned vegetables, breakfast cereals, pickles, processed cheese etc. If your skin is irritated and sensitive then it’s better to use those face washes or moisturizers that are gentle, herbal and Ph. balanced. The products with high synthetic chemical contents can make you skin issues worse. Aloe Vera has truly magical properties when it comes to hydration. Include it in your diet and skin care and you will see the amazing results. Use the extracts of natural Aloe Vera plant by pulping it. This pulp is nothing short of magic elixir. This is edible and can also be used on skin and hair. Green Tea is supposed to have natural cooling properties. So make sure you drink a cup or two of this warm beverage. Additionally, a homemade scrub can also be made with green tea. Just mix green tea, sugar, and water to form a thick mixture and scrub your face with it to naturally exfoliate your skin. 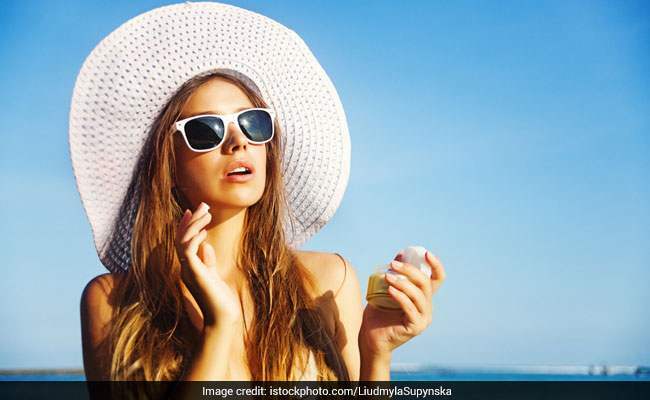 In this scorching heat, make Sun Screen your best friend. Make sure you never step out of your house without applying a good amount of sunscreen lotion all over your body. Choose a product that gives protection against both UVA and UVB rays. Next story SEE PICS: Shloka Mehta wore exact same gown like Alia Bhatt on her engagement! Previous story Shahid Kapoor and Neha Dhupia take a MAJOR dig at Sonam Kapoor! Find out!